The newly renovated villa is facing the sea with smooth terraces for relaxing and dining, comfortable interiors and panoramic views. Villa Il Basto interiors are light-filled and elegant, furnished with a mixture of traditional and contemporary Sicilian style and a pleasant array of antiques. On the ground floor is a large living area with wooden beamed ceilings, large sofas, an open fireplace and French windows leading out to a covered dining terrace. There’s also a kitchen and guest bathroom on this floor. Three bedrooms and two bathrooms are upstairs, and a further bedroom and bathroom are in an annexe next to the villa, each individually styled with a simple appeal. Situated on a verdant hillside above the beach and a short drive from the little village of Sant Ambrogio and town of Cefalu, guests can enjoy the peaceful setting with the option of dipping into Sicilian village life. Exciting day trips include visiting the Roman ruins of Tindari, exploring the walking trails in the Madonie mountains and boat trips to the Aeolian islands. Ground floor: Ground floor: Living room with dining area, kitchen, guest WC and covered terrace. Excellent company – reps all very professional and knowledgeable. Villa is as pictured, no nasty surprises. Cleaned and tidied well, twice during visit. Quiet area, all villages within 15 mins drive. 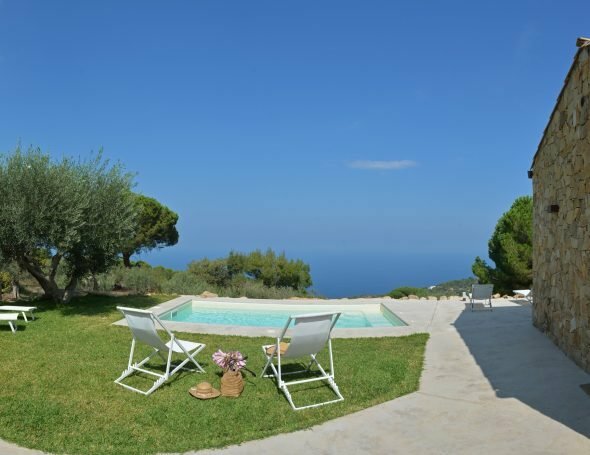 Villa il Basto is a perfect venue for a family vacation. 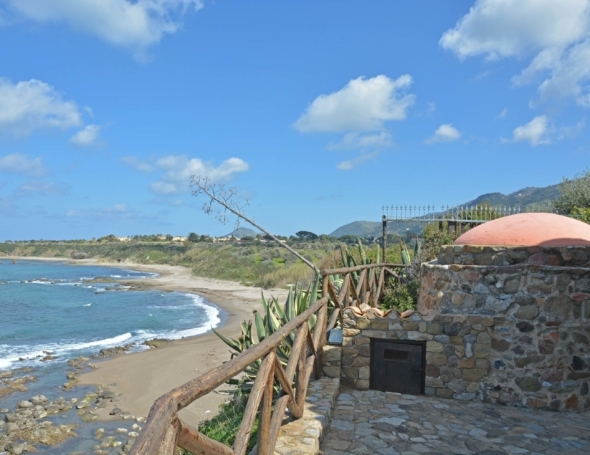 The villa is beautifully refurbished with good facilities and it's location high up on the hill and the breathtaking view from the terrace over the bay towards Cefalú. We enjoyed a wonderful week there with visits to Cafalú, Palermo and nearby villages Castelbuono and Santo Stefano di Camastra, but it is hard to leave this lovely and comfortable villa even for an outing. Massimo Villas Private Chef from Julian McDonnell on Vimeo.